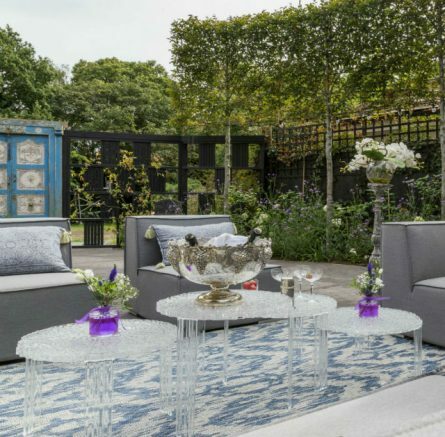 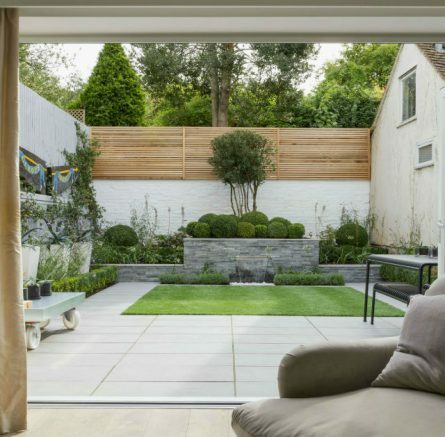 This newly extended property required a contemporary garden to suit. 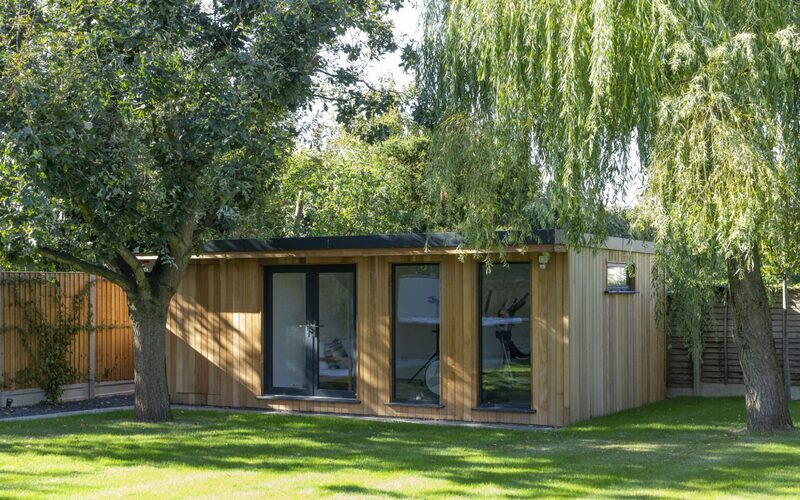 A ‘bike cave’ Summerhouse was an integral part of the brief as our client required a space for his indoor training bike and gym equipment. 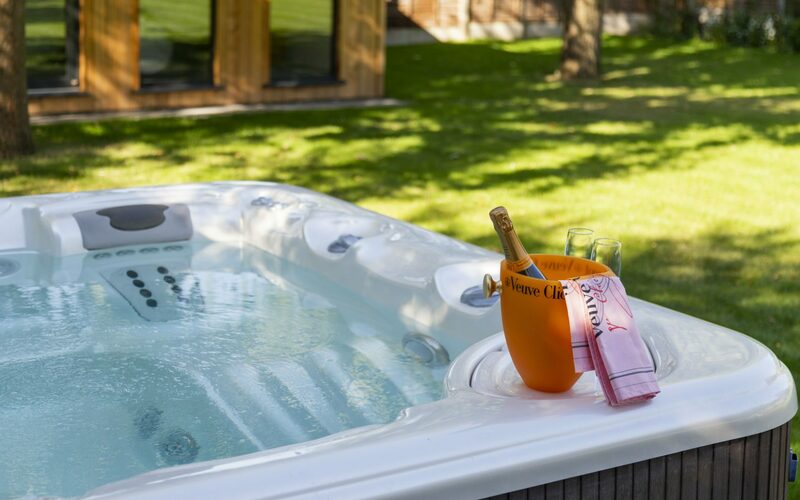 A space for a jacuzzi was also essential for relaxing after a hard day. 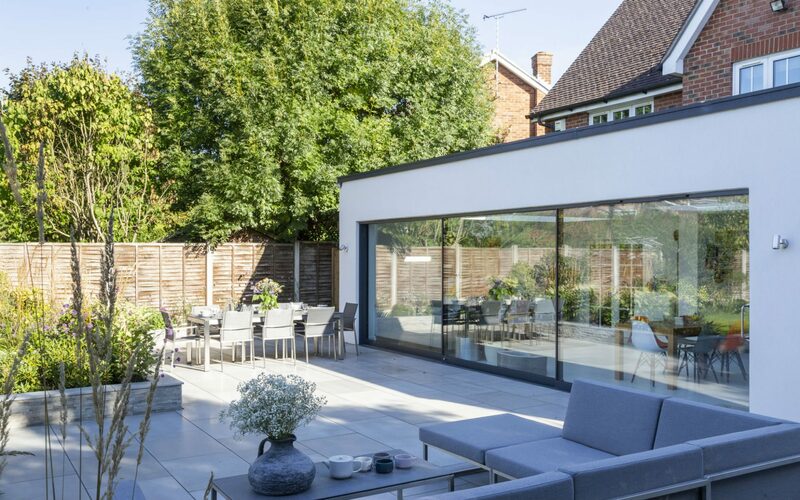 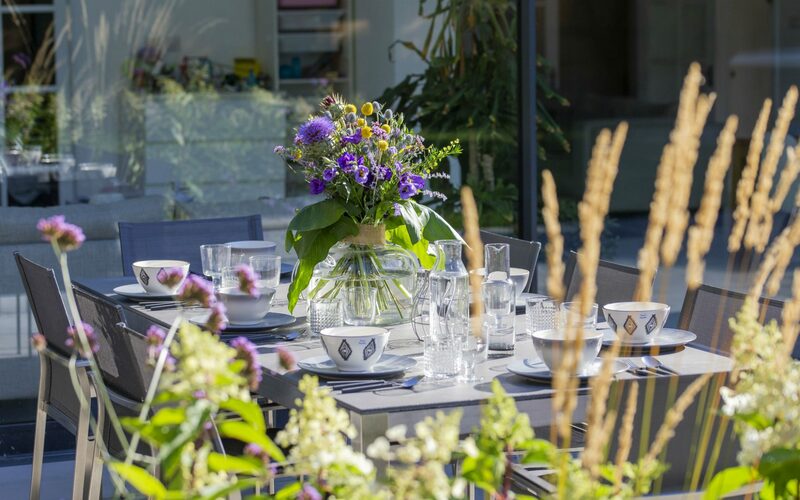 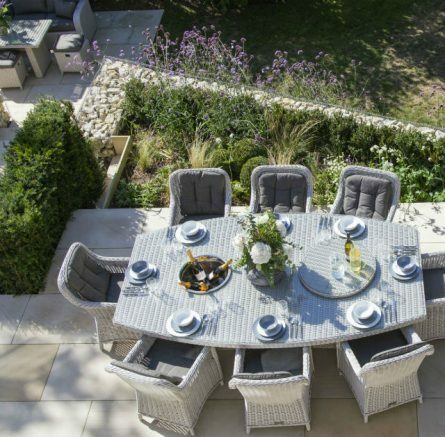 Using a natural sawn grey sandstone we extended the grey toned kitchen space outdoors, creating a large lounge and dining area. 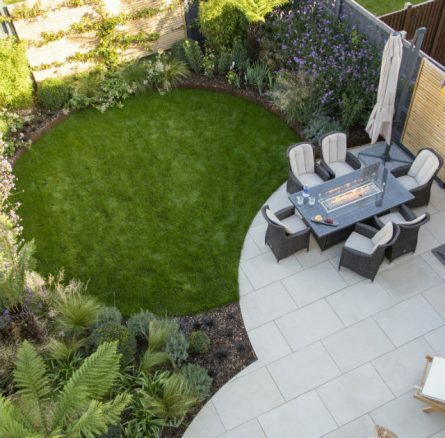 A sandstone path was created to lead you down the garden to the jacuzzi spa and then continues to the summerhouse. 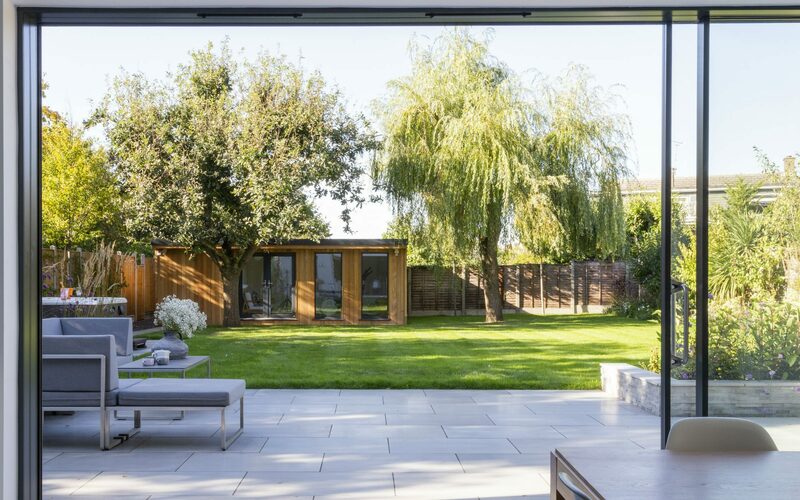 The bespoke summerhouse was cladded in cedar for a contemporary finish, black framed windows were chosen to complement the extension. 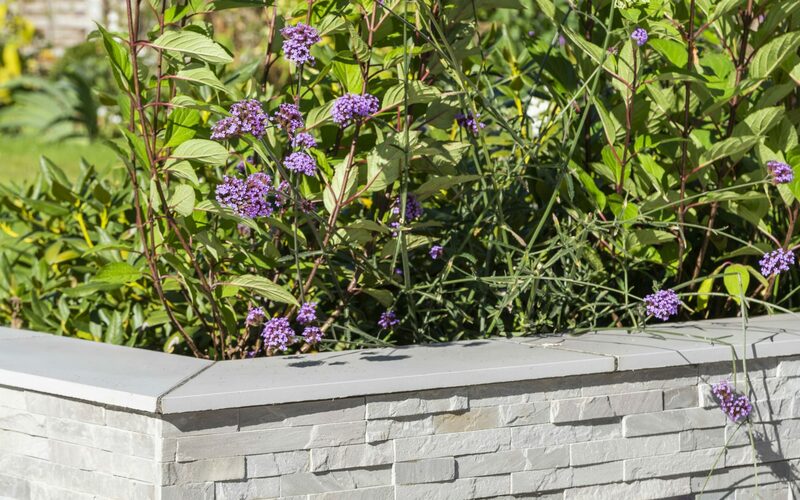 Raised bed borders cladded in grey slate separated the different areas of the garden, finished with a palette of lilac and white planting.